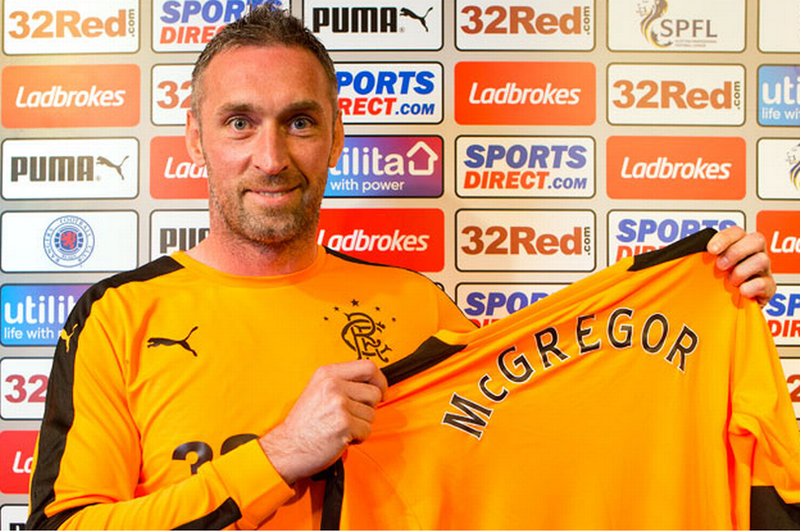 Rangers today confirmed the signing of Allan McGregor, which, we won’t hesitate to add, is the best goalkeeper since… he left. By some distance. For too long some fans have tried to defend the mediocrity in our goal, particularly Foderingham, and now we have what we can only call a proper stopper at last. But it has created something new, something intriguing. Allan McGregor has become the first returning ‘deserter’ from 2012, with the fleet making its way out back then with the likes of himself, Kyle Lafferty, Steven Naismith, Whittaker… you know the drill. Naismith tried to come back but was rejected in favour of Jason Cummings, and Kyle Lafferty too wanted a trip back to Govan but ended up in the same place as his (several time) former team mate. But McGregor has done it. He has become the first player of the infamous bunch to come back. And he is over the moon at doing so, as are we. Do we bear a grudge over the past? Nah, not any more. We feel the last remnants of bitterness, for this site anyway, disappeared about half way into 2016/2017 when we realised how colossally rubbish a squad Mark Warburton had made for our first season back in the SPL, and how badly we needed improving. Whatever is the past, is the past. Life is too short to whine about what happened back in the old days. Those who hang onto that and retain the bitterness are free to do so, but it’s not for us any more. 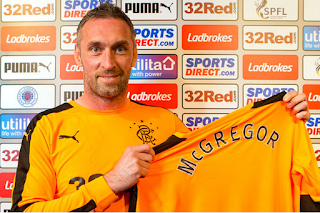 McGregor, lest we forget, has given up a very cushy gig in the English championship – a well paid job who wanted to keep him on – and like Kenny Miller when he was at the Whitecaps, he came as soon as his club wanted him back. Rangers are getting a Scotland international, and we are going to be bold in saying a world class goalkeeper. This was Hull’s POTY. Just like he was a fantastic stopper for us too. No one will ever forget the greatest save we think we’ve ever seen in Bremen. Maybe ‘world class’ is too strong, maybe we’re just getting too excited about actually having a real goalie again, but the truth is McGregor has instantly become the best goalkeeper in the SPL by a distance. And we’re getting an Allan McGregor with tonnes of experience and who’s matured by six years. Whether this watershed moment will lead to more of the class of 2012 coming back we’re less sure, but it’s still very, very significant. Happy days. 36 is peak time for a keeper. McGregor for captain 100%. Delighted to see him back and on the form he has shown for Hearts I would like to see Lafferty back too. Wouldn't take Lafferty or Naismith back. Whittaker no longer needed and was never a Rangers man, he was a Hibbee we signed, so no loyalty declaimed or betrayal thereof. Same for the foreigners, but they made the betrayal of some worse as they publicly backed the club while privately explaining they wouldn't be playing in the bottom league so we better get them sold or loaned. Don't know why I don't feel the same animosity towards Greegs. Maybe because we had to defend Lafferty for his behaviour and didn't see a great return. Naismith - no need to go into that, but I remember the club standing by him through 2 potentially career ending injuries. That stings. Like Ness. Always felt sorry for the young boy Fleck who wanted to stay and was driven away by Ally, if I remember right. I could be misremembering that. Rangers sign ageing ex goal keeper shocker! FFS is this the future? Go away you sad Tim.....smell the fear !!!! If we keep doing as we are now we will be the best team next season i just hope BR stays and keeps buying under 20s,but i just get that feeling they are watching what SG is doing but as it stands we have nothing to fear,the only one trying to take our thunder is that CS saying Yaya Toure to Selltic what a joke he is CS i lol at him. Most of you are two faced. One minute you’s wouldn’t have any of the rats back the next minute McGregor is the best thing since sliced bread. I think he’s a good signing and if he is part of the team that stops 10 IAR even better!! I will ALWAYS be bitter about Him! Shat on us from a great height when we were most in need. Lined his own pockets at our expense. Prick. Hypocrisy. Disgrace.